This self-portrait water color is one of Lermontov's best works. 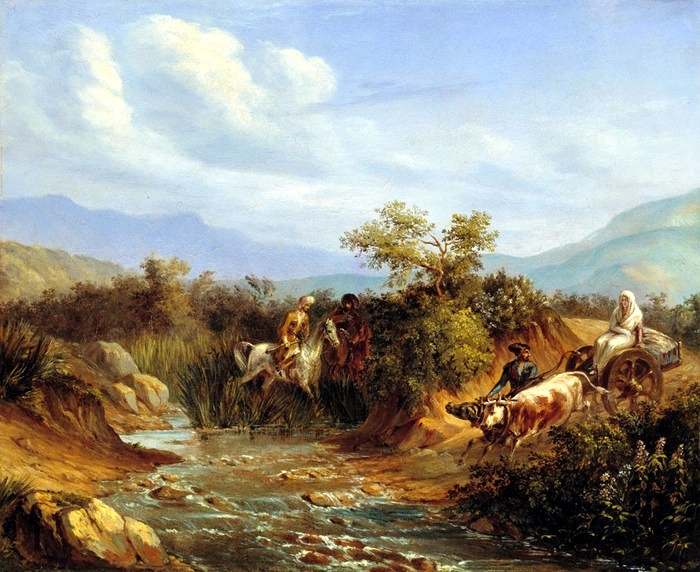 He depicted himself with the Caucasus Mountains in the background in the uniform of the regiment to which he had been exiled. 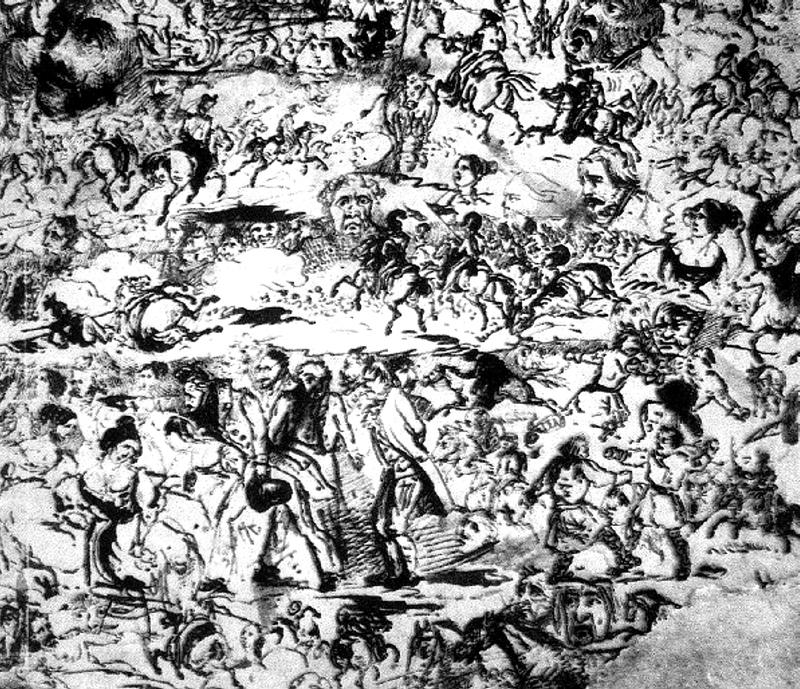 If Mikhail Lermontov had not become a great writer, he would have become a great artist. Few poets in world literature died as young as he. He was killed in a duel before his twenty-seventh birthday. When Lermontov put on his officer's uniform for the first time, his grandmother commissioned an artist to paint a full-length portrait of her grandson. The canvas presents a good-looking guardsman with regular features: a longish face, a fine forehead, austere brown eyes, well-shaped nose and a foppish mustache above a full mouth. How can this canvas be explained when other portraits show Lermontov with irregular features, a narrow chin and a short, somewhat turned up nose? His character, and not just his appearance, is described by his contemporaries in so many ways that it seems, at times, they are talking about different Lermontovs. To some he seemed cold, peevish and irritable; others were impressed by his gaiety and energy. Lermontov indeed had conflicting personal qualities. He acted one way among the aristocratic society so hostile to him and another in the circle of his close friends. He was not the same person in public and in solitude, in battle and in Petersburg drawing rooms, at moments of poetic inspiration and in the din of his carousing with hussars. The facets of the poet's character were distinctly outlined. Few people have aroused as many contradictory impressions. However, the books that contain Lermontov's true portrait, the most profound and accurate characterization of him, are the poet's works. In these he is reflected as he was in reality, as he wanted to be. Mikhail Lermontov was born in Moscow on October 15, 1814. His mother died when he was only three, and until he turned 13 he was brought up on the rich estate of his grandmother in Tarkhany, Central Russia. In 1830 he enrolled in the Literature Department of Moscow University, but he was expelled after clashing with a reactionary professor. He then went to St. Petersburg to enter the cadet school which he gave up two years later to join the Life-Guard Hussar Regiment. These are the bare facts of his short life. Let's take a deeper look. During his student years Lermontov mastered the best of what had been accumulated by Russian and European culture: poetry, prose, drama, music, painting, history and philosophy. He was fluent in French, English and German, he could read Latin, and later, in the Caucasus, he began to study Azerbaijanian. 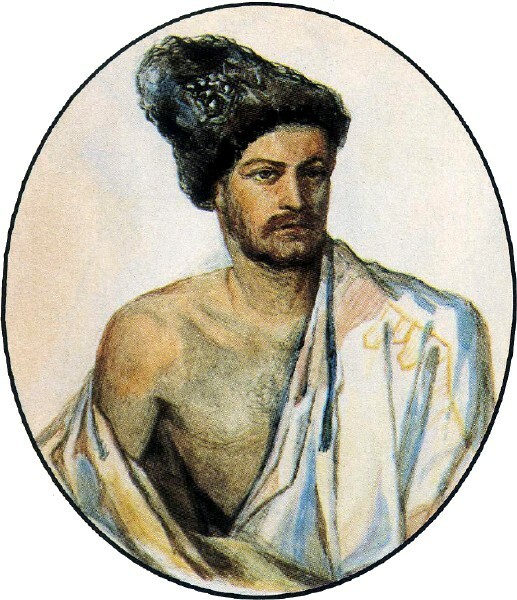 When he was in Georgia, he kept a record of Georgian words and gave one of his poems the Georgian name of Mtsyri. Two authors - Byron and Pushkin - stand out in the wide range of authors he enjoyed reading. In his childhood he copied their verses in his notebook, and he looked up to Pushkin all his life. Lermontov was also a talented musician. He played the violin and the piano and composed music to his own poetry. He perceived the world dynamically, graphically and colorfully. 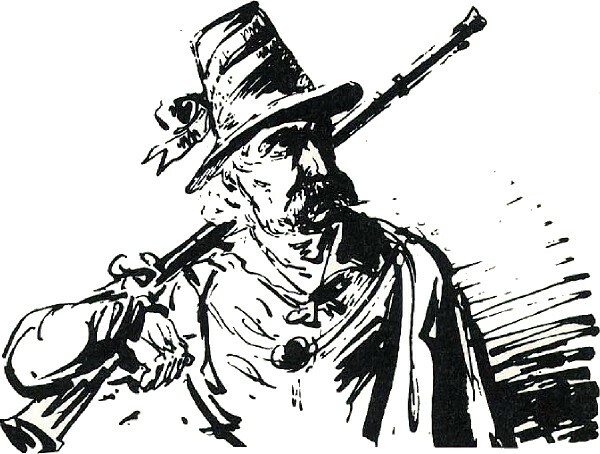 In this the poet was assisted by his artist's eye. He loved to draw grim profiles and horses chafing at the bit. 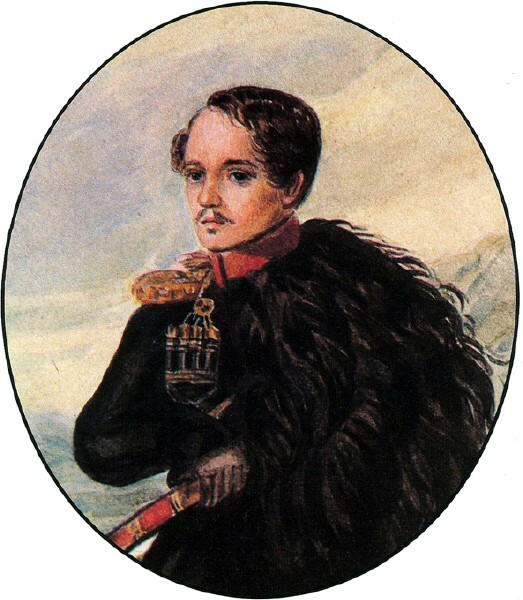 Lermontov began to write at the age of 14. He very soon stopped imitating other writers and learned to draw on his own experience. The pages of his youthful notebooks resemble a diary in verse form, full of his thoughts about life and death, eternity, good and evil, the meaning of life and love, the future and the past. However he waited for a long time before submitting his work for publication. His first published work, The Masquerade, a drama in verse form, came out in 1835. From an early age Lermontov associated the society he was connected with by birth and upbringing with everything false, insensitive, cruel and hypocritical. The title The Masquerade has an ironical meaning. The characters of the play had masks for faces. Unidentified, they bared their evil passions and vices. The young man who had just turned 21 had the courage to say everything he thought of them. Lermontov's sharp and apt portrayal of fashionable society gossips angered the czarist censors, and the play was banned. Lermontov had been writing poetry and prose for 10 years before he ventured to call himself a real writer. It took him another three years to publish a small collection of the best things he had written. He was surprisingly demanding and exacting of himself. No writer had ever come out with such a collection as a first work. This small book contained almost everything: a passionate plea for happiness, the bitterness of separation from the land of his birth, cold despair, a tender conversation with his beloved, a violent threat to the aristocratic rabble, a call to struggle for liberation from slavery. It was the first and last book published in the poet's lifetime. Lermontov's style was tempered by the rich and hard experience of his life, a broad world outlook and what might be called "responsibility to the reader." Many of his poems have become folk songs. Their simplicity matches the depth of their content. They touch a responsive chord in young and old alike, who perceive them as a melodious form of folk speech. Lermontov's words are still alive, and so is his world of feelings. His most sagacious contemporaries compared him to Byron and called him the "Russian Goethe," thus putting him in the league of the greatest nineteenth century poets. A poems by Lermontov have been translated into foreign languages. His poem Demon and novel A Hero of Our Time were received with unparalleled enthusiasm by Russian readers. The latter was the first psychological novel in Russian literature. It marked the beginning of the psychological Russian school which has for over a hundred years been exerting a powerful influence on world literature. A rough draft of Lermontov's poem "Death of the Poet," written after Pushkin's death. On the margin is a profile of Leonti Dubelt, chief of police. It was not only Lermontov's inner maturity that accounted for the recognition of his genius. He addressed his contemporaries, confronting them with "the destiny and rights of the human personality." All Russia could now hear his voice. The greater his popularity grew, the faster he matured as a poet and novelist. Lermontov's name is forever linked in the minds of Russian society with the name of Pushkin. 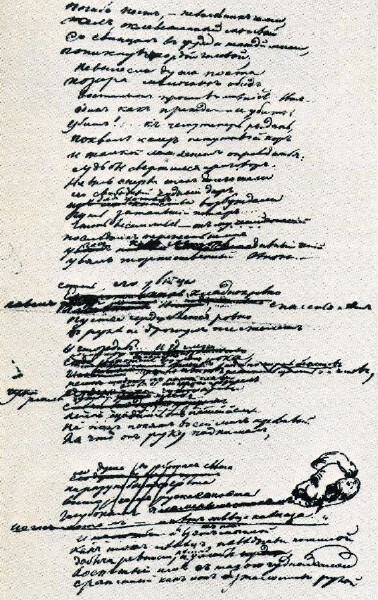 On the day Pushkin was killed in a duel incited by the nobility in St. Petersburg, the poem "Death of the Poet," signed by Lermontov, appeared in handwritten copies. The poem had a staggering effect on the whole country. The author exposed the secret plot against Pushkin, pointing to the court aristocracy that had planned the murder, predicting that history would pass stern judgment on them. Lermontov called just punishment "God's judgment," but the real meaning of the threat was quite clear. Interestingly enough, one of the copies that survives to this day bears the inscription: "Call for Revolution." 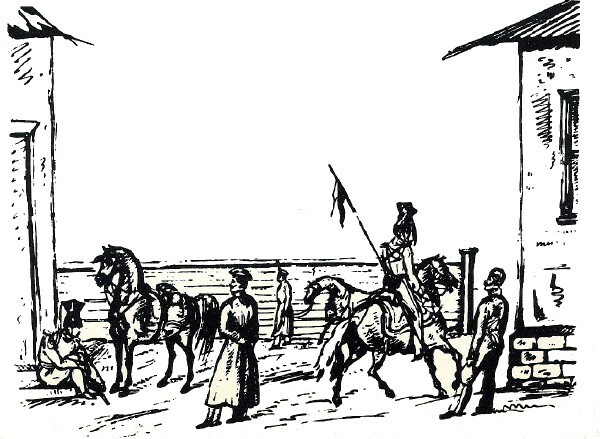 A case against "impermissible poems" was concocted, followed after several days by the order that Mikhail Lermontov, an officer of the Imperial Guard, shall be sent on "an expedition against the local tribes." 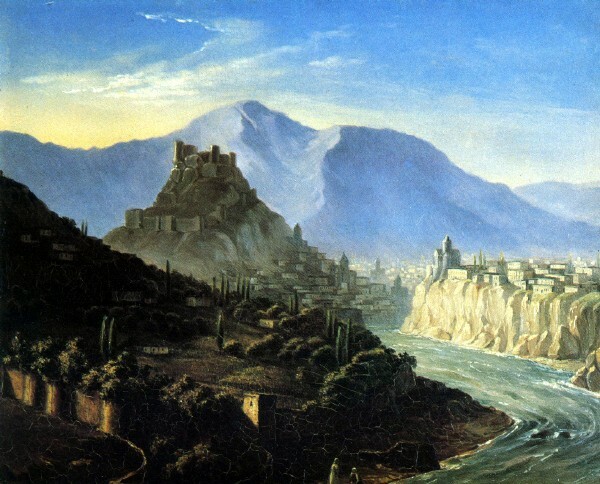 The poet spent the rest of 1837 in exile in the Caucasus. Incapable of concealing his feelings, he remained credulous and careless. The poisonous slander of people whom he considered his friends was more painful to him than the open malice of his enemies. A feeling of loneliness in the kingdom of arbitrariness and darkness, as Alexander Herzen, the revolutionary writer, called Nicholas' empire, inevitably imparted a tragic character to his poetry. Nor had the poet's own destiny been too happy: his mother's early death, separation from his father, the tortures of unrequited love, political persecution, banishment from the capital during his last years. But he never became a morose negator of life, which he passionately loved. He was inspired by his country, dreams of freedom and a craving for action. The older the poet grew, the more his experiences and feelings reflected the experience and destiny of his generation. His world of romantic dreams gradually gave way to an objective depiction of reality. Lermontov's poetry more and more portrayed the everyday life of the 1830s and 1840s and the contradiction of profound progressive interests on the one hand and spiritual stagnation in social life on the other. Lermontov embarked on his career at a time sparkling with talent. His fame, sudden and resounding, was the incarnation of a challenge to society, so apparent in the last lines of "Death of the Poet." This poem voiced a public protest. His fame embodied two events which became political phenomena - the death of one poet and the powerful emergence of another, who was destined to become Pushkin's successor in orphaned Russian literature. World literature does not know many such tragedies and such a glorious relay. It is a tribute to the great power of a people capable of providing one genius to replace another. Lermontov outlived Pushkin by just four years. But in those years he created the best part of his legacy. He brought back from his place of exile A Song About Tsar Ivan Vasilyevitch, His Young Body-Guard 1 and the Valiant Merchant Kalashnikov. 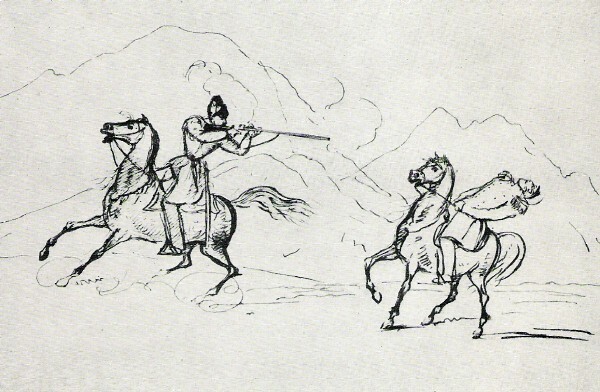 In this poem written in folk ballad style, Lermontov exalted the common man: Stepan Kalashnikov, defending his wife's honor, began a fist fight with the czar's favorite, and after killing him, would not submit to the czar. It was a very bold idea. Lermontov sang the praises of a man who did not submit to the monarch at a time when the czarist gendarmes were persecuting and killing Russia's best sons with impunity. A Song, published without the name of the disgraced author, enjoyed great popularity. Vissarion Belinsky, an outstanding literary critic of that time, with farsightedness wrote, "We are not afraid of being branded false prophets when we say that our literature has acquired a powerful and original talent." The Lermontov writings during the four years between 1837 and 1841 are different both in form and content. His poem Mtsyri is a passionate dream of freedom, of the lost land of one's birth. The dramatic poem Demon, the result of the poet's long years of philosophical meditation, is filled with his views on the right to think, live and create freely. The great god-fighting Demon rises against the Almighty, against unjust laws and slavery on Earth. Pechorin, the protagonist of A Hero of Our Time, belongs to the privileged class, but he despises it. He languishes in the emptiness of his life, avidly aspiring to catch the alluring phantom of happiness. 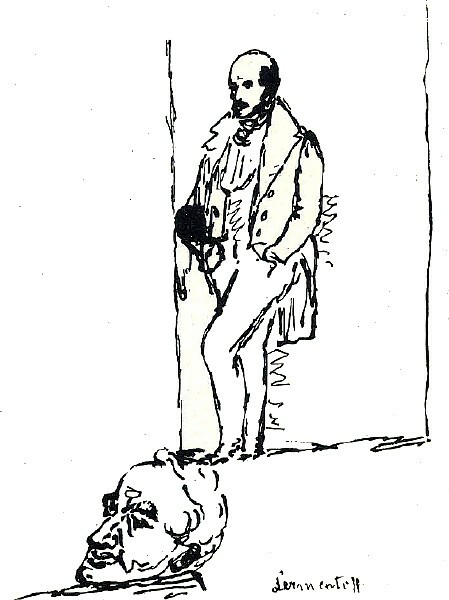 Lermontov showed with bitterness that his talented, clever contemporary is morally perishing from the lack of freedom, from the impossibility of finding a real cause. The social importance of Lermontov's poetry and his ever-increasing fame irritated the aristocracy. They used the tried and tested method of provoking a duel to get rid of him. Nobody was hurt, but it was used as a pretext to have the poet court-martialed. In 1840 he was again sent into exile in the Causa-sus, and this time he was destined not to return alive. 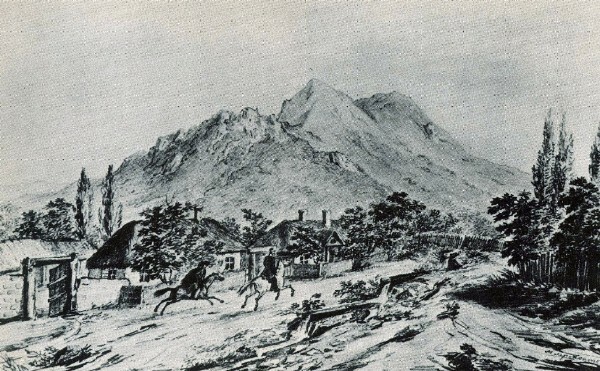 Lermontov's second duel, which took place on July 27, 1841, in Pyatigorsk, was a well-planned and subtly conceived murder whose threads led to the czar's residence in St. Petersburg. Everything that Lermontov created was created by a man who did not live to reach maturity. But all of his works (except for the earliest ones), with their richness of content, splendor and variety of form, bear the imprint of maturity of thought and feeling. His creativity promoted a new epoch in Russian literature. There has been no writer in Russia who has not been influenced by Lermontov's poetry - from Leo Tolstoy, Ivan Turgenev and Fyodor Dosto-yevsky to Vladimir Mayakovsky and present-day poets and novelists. 1 Russian Czar Ivan the Fourth (1530-1584), called Ivan the Terrible. Ivan established his body guard (oprichnina) to fight treachery among the feudal lords. for the popular book by his contemporary.